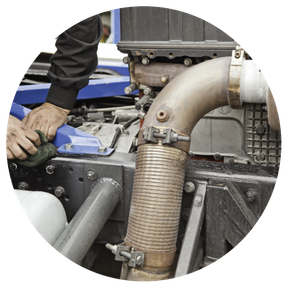 Roadside Assistance Moncton | Burgess Transportation Services Inc.
 Award-Winning Burgess Transportation Services Inc. is More than Your Average Transportation Company! We’re there for you whenever you need us. Burgess Transportation offers roadside assistance and towing to Salisbury, Moncton, Elgin, Hillsborough, Sussex, and all of the surrounding areas. 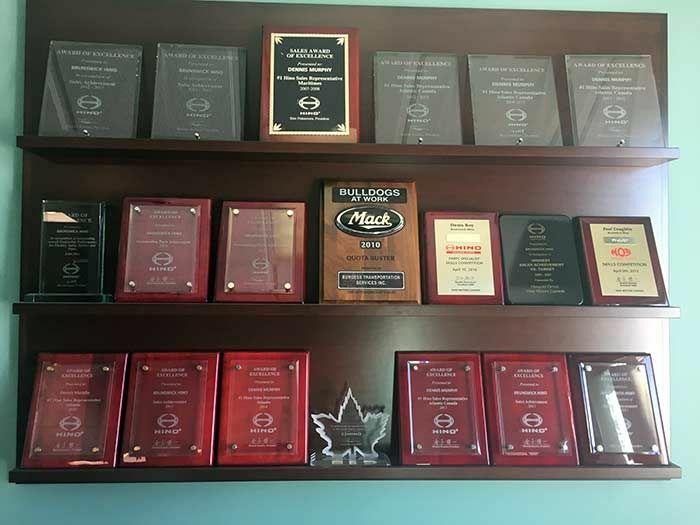 These awards and achievements wouldn’t be possible without an amazing staff, customers, as well as outstanding product support from Hino Canada. Thank you to all who have helped transform us into an award-winning team! For trucking services in New Brunswick, call on Burgess Transportation Services Inc.
On the road, but in need of a truck part? We offer on-the-road parts delivery services to all of Southern New Brunswick! With Burgess Transportation Services Inc., you can count on exceptional service from an award-winning team. 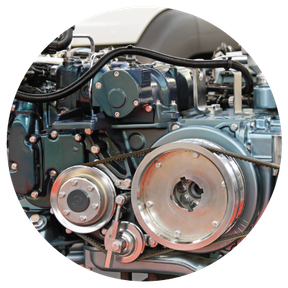 More than your average transportation services company, we specialize in regional trucking and operate a full-service truck repair centre in Petitcodiac, New Brunswick. Burgess Transportation Services Inc. is New Brunswick’s only Hino truck sales, parts, and services dealer. Hino Canada has been number one in its class for three years running! We’re also your authorized Mack® truck parts and services centre. 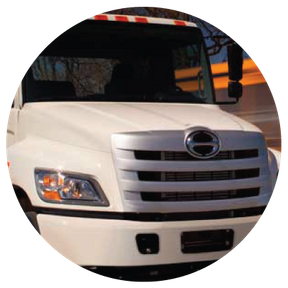 If you’re in need of a truck repair in New Brunswick, or looking to purchase a quality Hino COE or NAPS truck, simply turn to the professionals at Burgess Transportation Services Inc. Call us to schedule a repair, service, or test drive!